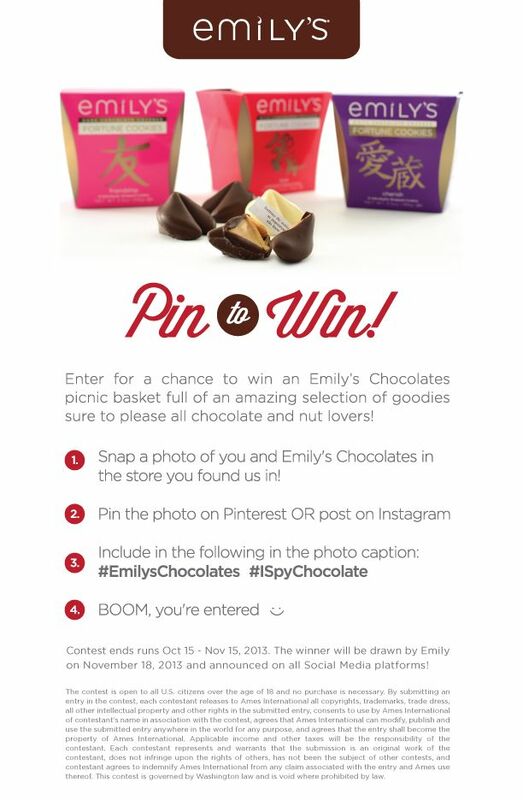 If you love Chocolate and have a Pinterest account I recommend entering the Emily’s Chocolate “Pin It To Win It” Contest! Thats it! You’re entered to win! Be sure to check out my past review of Emily’s Chocolates if you haven’t tried this yummy chocolate!